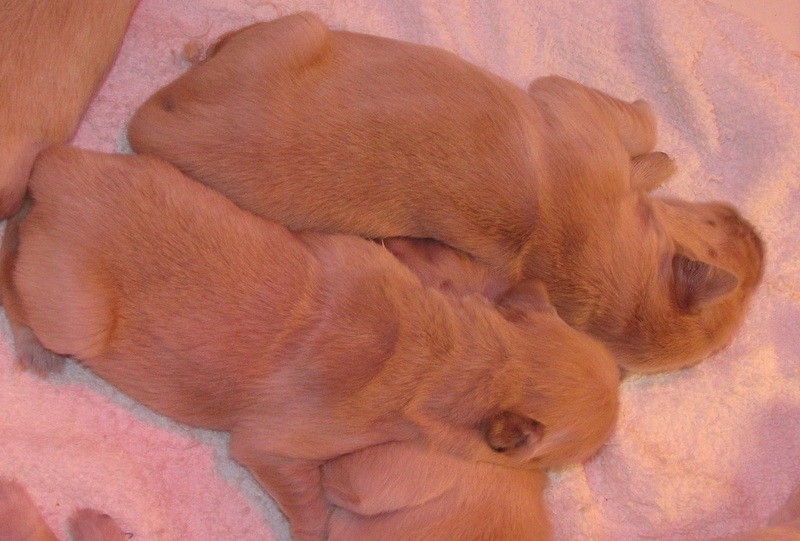 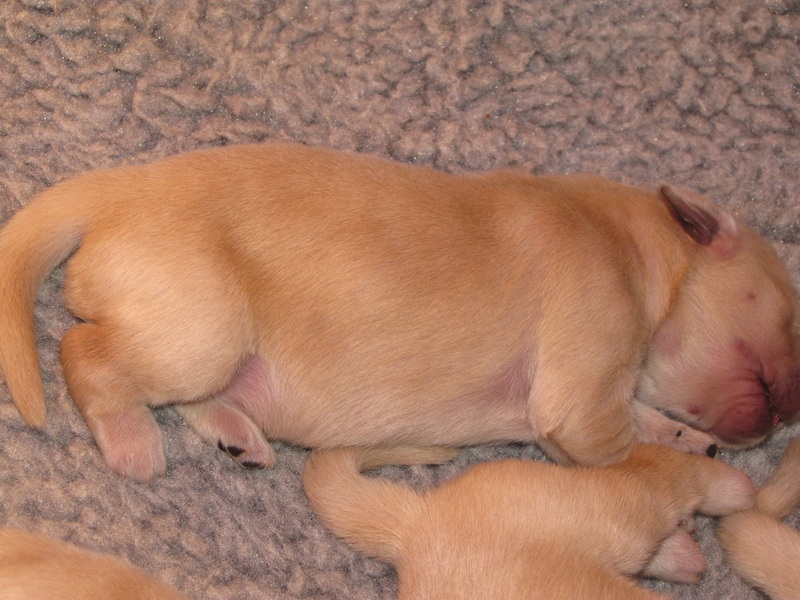 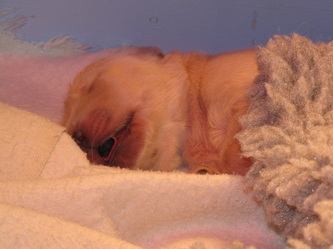 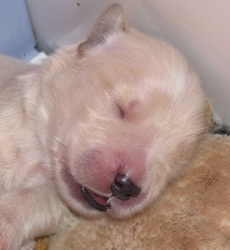 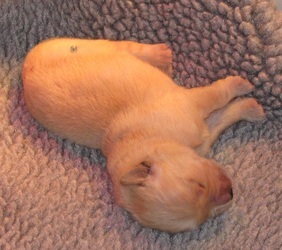 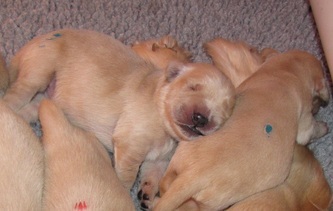 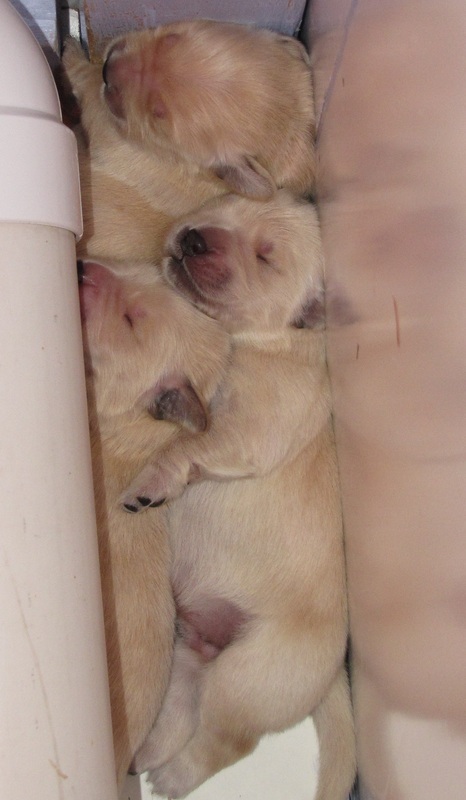 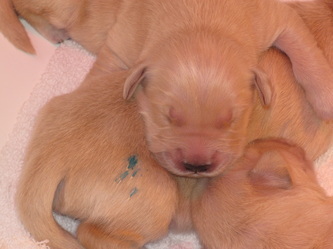 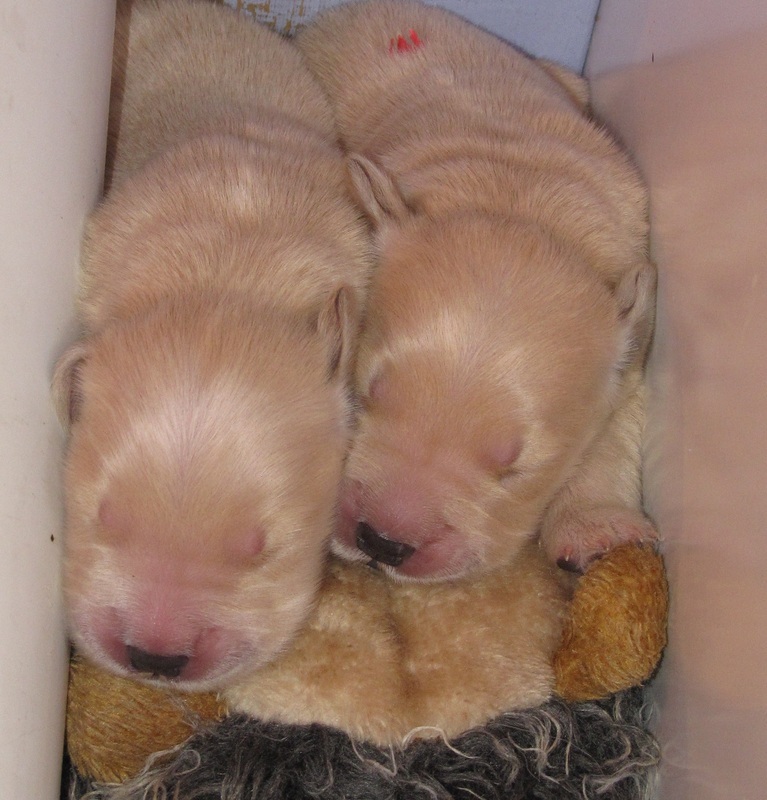 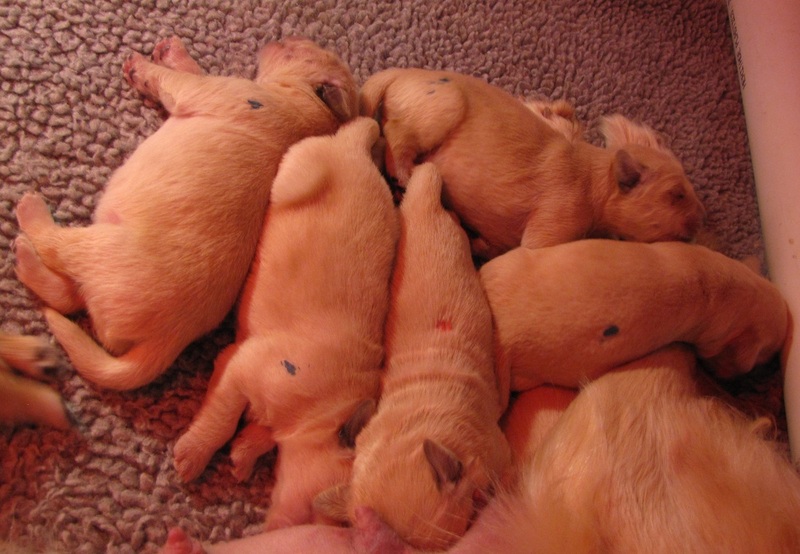 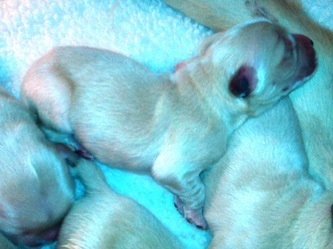 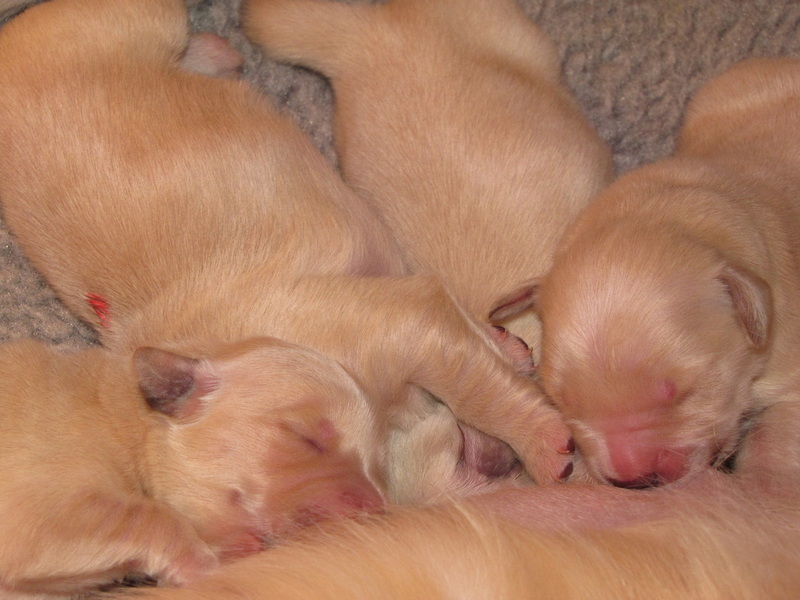 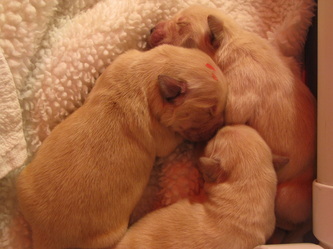 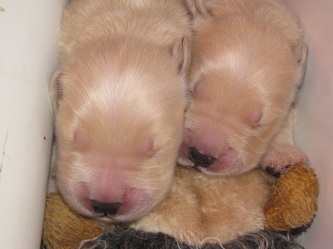 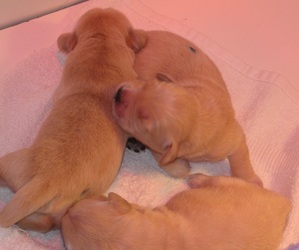 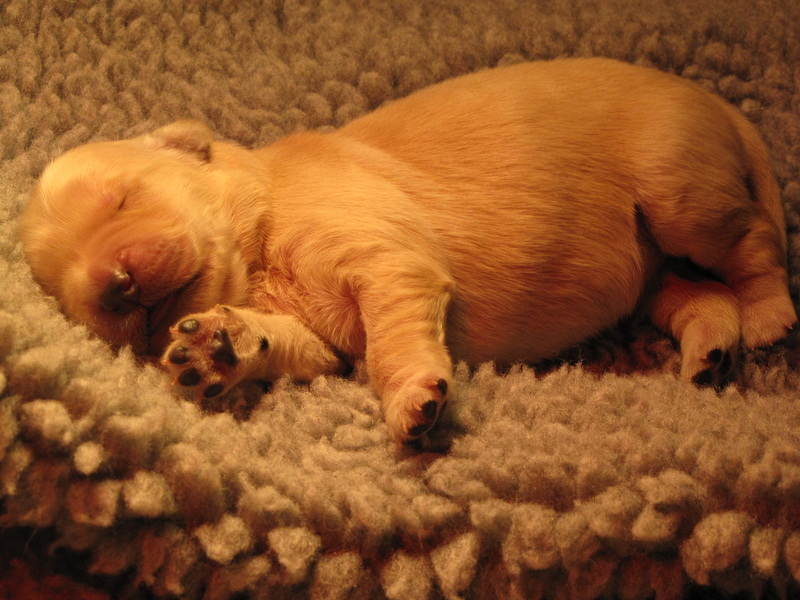 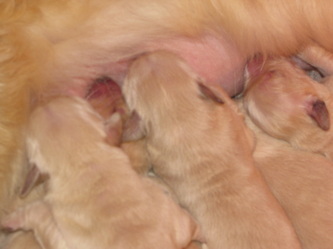 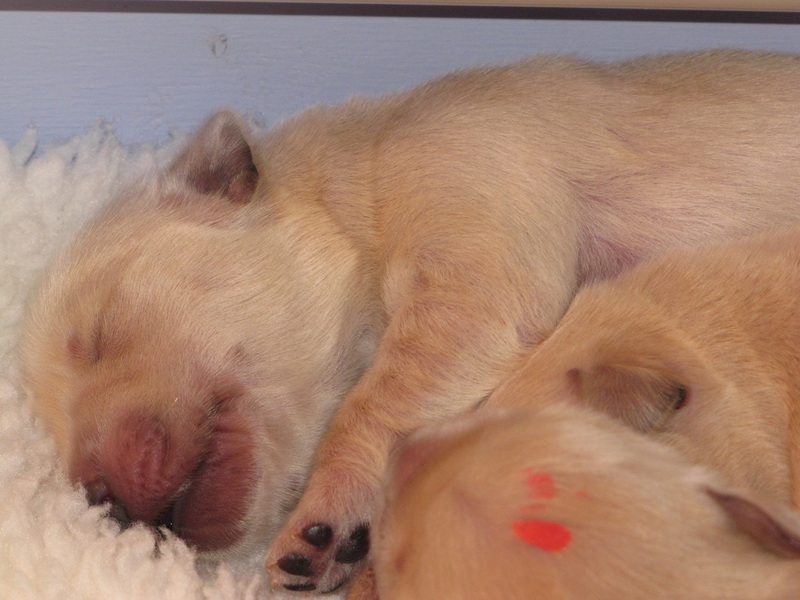 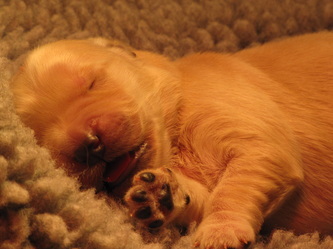 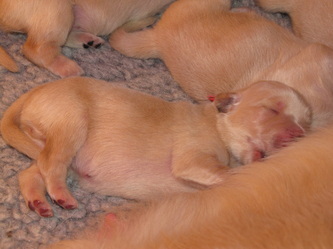 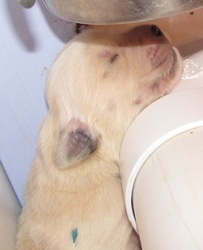 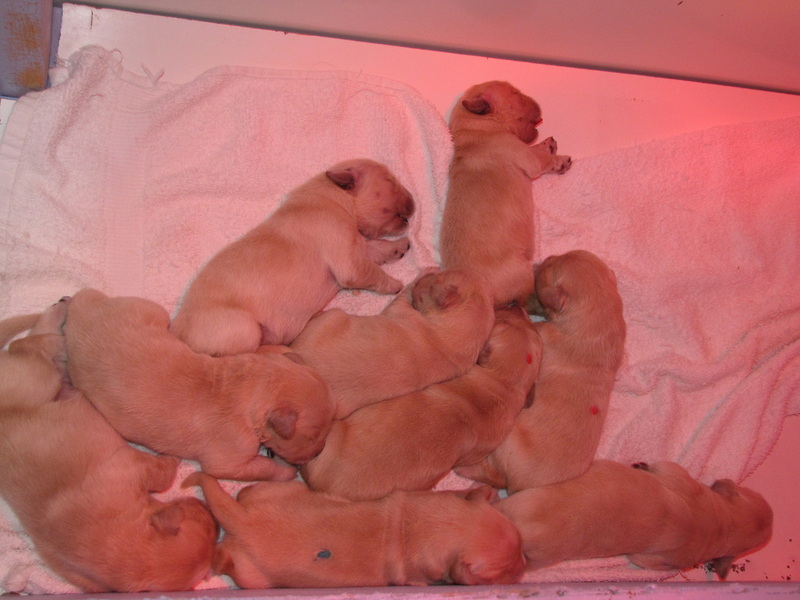 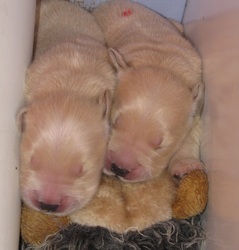 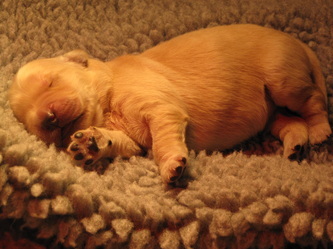 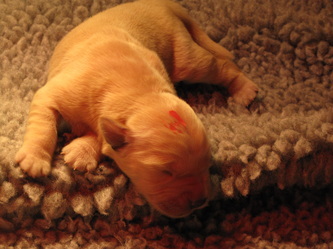 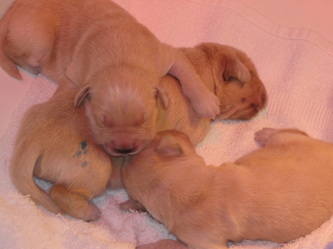 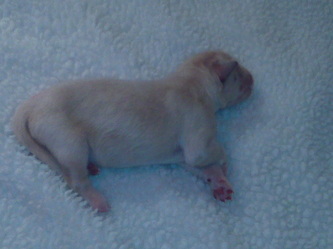 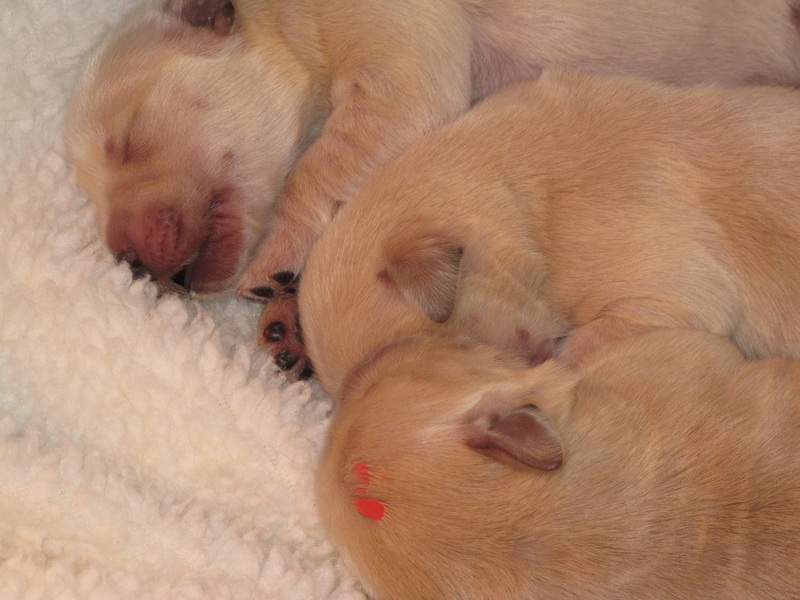 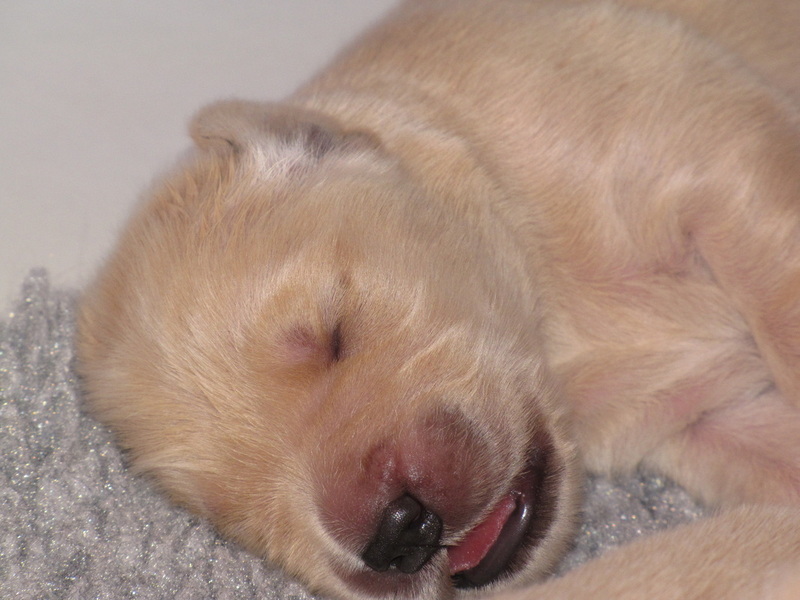 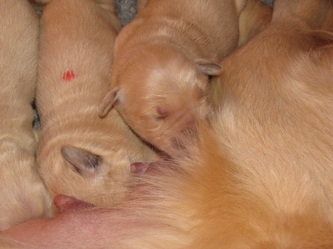 Week One for the "Dream Litter"
Puppies are neurostimulated during this neonatal time of their lives. 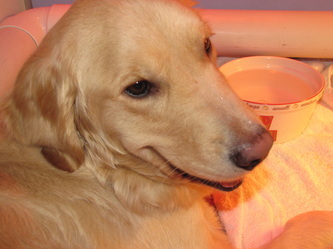 Q-Tips tickle their feet, they are held perpendicular to the ground, held upside down, on their backs in the palm of the hand and touch a cold, damp towel or cotton balls. 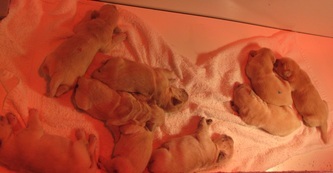 Their mommy has to stimulate them to potty and she keeps the whelping box spotless and her pups clean. 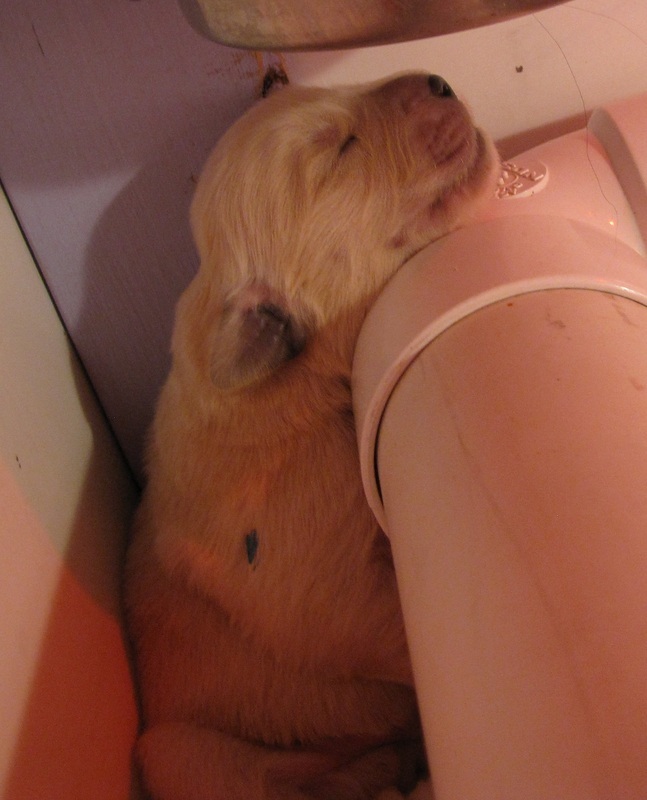 She hardly leaves the box, just to go potty herself. She likes to eat in her whelping box and is very concerned if a puppy is taken out of the box, but she is comforted when we show her the pup is with us beside the box. 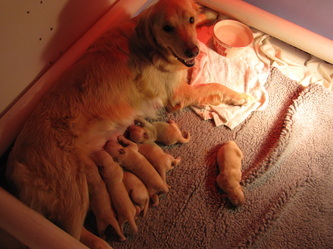 Sweetie is an excellent mommy!